Paris ranks among the most visited cities in the world—spend just one day in the City of Light and it’s easy to see why. With its surfeit of monuments, extraordinary museums, and romantic je ne sais quoi ambience, Paris more than lives up to its stellar reputation. Here’s how to make the most of your 1-day trip. One of the best ways to discover Paris? Find a lofty perspective and take in the picturesque city views. Scoring a rooftop seat on a hop-on hop-off bus is one of the simplest ways to see the sights (and traverse around town). Then there’s the Eiffel Tower’s topmost observation deck—poised 906 feet (276 meters) above the ground, it ranks among the highest viewing platforms in Europe and can be seen quickly with skip-the-line tickets. Alternatively, make your way to Montmartre and its hilltop Sacré-Coeur Basilica on a walking tour. Though you must climb numerous stairs to reach the top, the views are well worth the effort. A trip to Paris, where the arts reign supreme, isn’t complete without a museum excursion. The Louvre is an essential stop, and for good reason: home to the Mona Lisa and other world-famous masterpieces, it’s a cultural juggernaut. Don’t try to conquer it all in one day—instead, pick a preferred gallery or go on a guided Louvre highlights tour. Either way, be sure to secure skip-the-line tickets to save time. Alternatively, the Musée d’Orsay, housed in a former railway station, is ideal for fans of impressionism, while the modern Centre Pompidou offers avant-garde architecture and of-the-minute exhibitions. After a busy day of exploration, relax on a Seine river cruise. From your comfortable perch on board, sightsee as you float by Notre Dame, the Pont des Arts, and numerous other top landmarks. To make a meal of it, book a dinner cruise that combines elegant French gastronomy and seamless sightseeing. And if you’d like to extend your outing into the wee hours, pair your dinner with a trip to the Moulin Rouge, where a cabaret show and glasses of Champagne make for a festive celebration of your unforgettable day in Paris. Glide through Paris and experience its years of history in just a few hours by Segway. 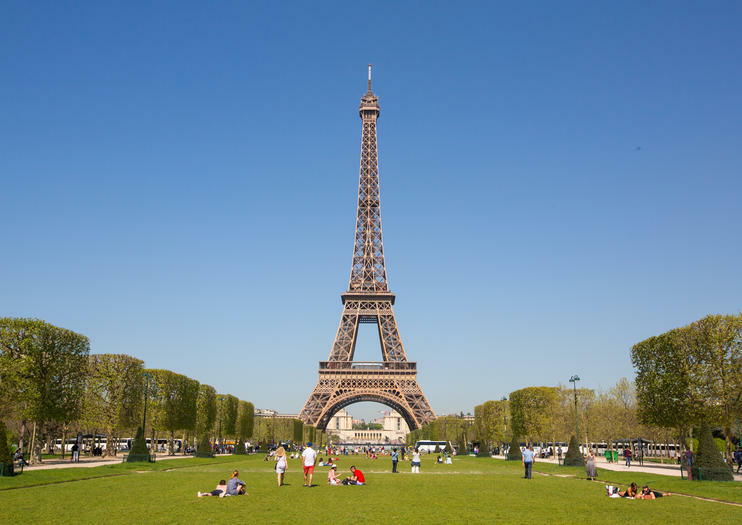 In a short period of time, zoom around effortlessly and see the City of Light’s top landmarks, including the Eiffel Tower, Louvre and Orsay museums, Les Invalides, Napoleon’s tomb and more. Learn heaps of unique and fascinating stories from an entertaining guide. This Paris city Segway tour is limited to just eight people, ensuring more personalized attention. From classic Greek sculptures to masterpieces of Impressionist painting, enjoy a day of artistic treasures with a private tour of the Louvre and Musée d’Orsay in Paris. Enjoy skip-the-line access to both museums so you can make the most of your day. Step back in time at the Louvre to see iconic works of ancient and Renaissance art, and admire paintings and sculptures by Impressionist and Modern masters at the Musée d’Orsay. Enjoy the personalized attention of a private guide, with tour numbers limited to four people.